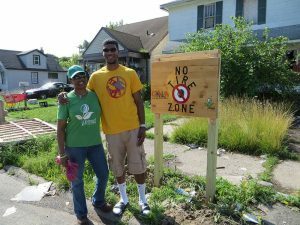 The Brightmoor Woodworkers – taking a stand against illegal tire dumping in the neighborhood withDe-tread and hand-carved wooden signs! Want to help get great ideas like this one into the community? Support the Brightmoor Maker Space today!